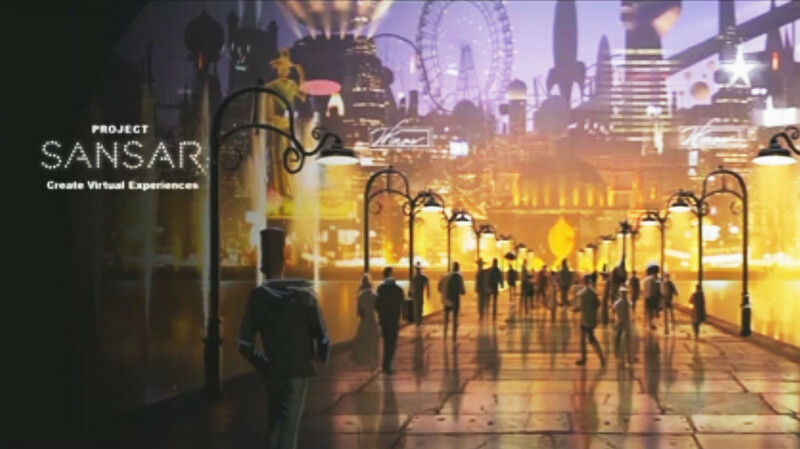 A lot has been written about the Lab’s Next Generation virtual experiences platform, currently code-named Project Sansar, of late, including comments from Ebbe Altberg and others from the Lab, and also media articles on the platform. As such, I thought I’d try to pull together a reasonably detailed, but high-level summary of what is known together with references. Depending on how things progress with Sansar, this might be the first of a semi-regular piece in this blog. If I have missed anything on import, my apologies; running back and forth through numerous articles, transcripts and videos tends to get a little eye and mind-boggling after a while! Around 40 people were working on Sansar at any given time as of March 2015, of whom 30 are programmers / engineers  . In June 2014, with a headcount of approximately 180, the Lab announced it would be recruiting 40-50 staff specifically to work on Sansar . As of June 2015, the Lab’s total headcount was around 213 . Closed alpha testing, initially involving content creators selected by the Lab with expertise in Maya, to commence in July 2015  . These creators will not only (or necessarily) be drawn from Second Life . Testing and access will gradually expand to involve a broader audience and more tools . A public beta is then planned for 2016, with a “version 1” possibly ready by the end of 2016 . The content focus for Sansar is mesh, but not exclusively mesh . Sansar will initially utilise Maya for testing  , however the plan is for the platform to support many external content creation tools such as 3D Max, Sketchup . and Blender  and others. The support file formats will include (but not necessarily limited to) OBJ and FBX . The scripting language for Sansar will be C#  . Sansar will support advanced materials with spec, smoothness, “metalness” and normal maps . Substances will be supported ,but no decision has been made on supporting Allegorithmic’s products . Displacement maps will be supported . In-world building tools will be made available in time with people able to share in collaborative building, and in-world building might be voxel-based , although the Lab is still experimenting with this. All objects in Sansar will be fully scriptable and animated; it is not clear whether on-the-fly modifications to mesh items in-world will be possible . Sansar will include a full “professional” (in terms of its capabilities not in the need for people to have to be professional animators in order to use it) animation system, overlaid with additional capabilities / code directly from the Lab . The Lab is aware that Sansar needs to be highly performant, and so is looking at ways to optimise user-generated content . Avatars with Sansar will have a far more complex skeletal system than for SL. Overall, the aim is to support very complex avatars with arbitrary numbers of limbs, etc., but this is still at least a year away from being ready . Sansar is not being viewed as a contiguous world space in the manner of Second Life . “Land” within the platform has a very different meaning to that of Second Life (“space” appears to the preferred term with the Lab). 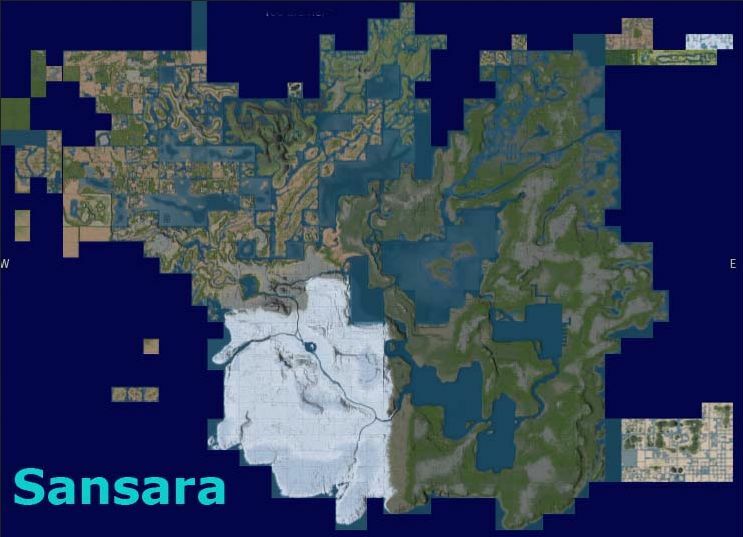 It will not be constrained in terms of a physical area; spaces in Sansar can be arbitrarily large, the limitation being what can be placed on / in an experience, not the physical area it can occupy (although there is a theoretical physical limit to how big “land” can be. Users will be provided with some space on joining Sansar . What this will be and the content limitations placed on it are not clear at this time. It is not currently planned for Sansar to have anything analogous to Second Life’s Mainland, but very large experiences can be built and there will be the potential to interconnect them, potentially allowing public ‘hubs’ around themes, interests, and communities to arise . How avatars will move between experiences is still TBD. A gateway mechanism has been under consideration, with the aim of keeping the immersive experience as alive as possible . If someone wanted to create a virtual experience as large-scale and varied as all of SL today, they should be able to accomplish that with Project Sansar (cost, doubtless, allowing!) . Sansar will be accessible from 13+ on up . Safeguards will be in place to ensure younger users do not encounter content not suitable to their age  . Creators will have greater control in how they bring users directly into their experiences. The aim is to make discovery easier, and not necessarily led by the Lab’s “brand” for the platform (as is the case with Second Life) . This potentially makes it easier for experiences to be directly branded . In support of this, third-party authentication and access control to experiences is being built-in to the foundation of the next generation platform, which should help organisations to manage access to their experiences using tools already at their disposal . Sansar will operate a “master account” system  , allowing users to operate multiple “personas” (e.g. avatars) under it, sharing inventory and account balances between them . It is unlikely that Sansar will support last name / first name format from SL, but will offer a “display name” style approach , However, there will be a period of time when Second Life users will be offered the opportunity to create a master account based on their Second Life avatar name . Users’ abilities in Sansar will be built on the basis of trust. While all users will be able to have as much anonymity as they wish, the more information that is provided to Linden Lab – be it wallet identity, a verified e-mail address or payment information – the greater the degree to which a user can participate in the platform. However, the exact relationship between platform capabilities awarded, and the information users will be asked to provide in order to access them, is still being determined . The Linden Dollar will probably operate on both Sansar and Second Life, and it should be possible to move currency balances back and forth between it and Second Life . The Sansar economy will not be land-based. However, it is possible revenue may also be obtained by charging extra for experiences that wish to be available 24/7, rather than “spun-up” when a user wishes to access it. Additional capabilities, etc., may be charged for as well. This is something the Lab will continue to examine . Sales taxes are being looked upon as a major leverage of revenue for the Lab. How this will be done is unclear, but the Lab is looking at a range of “sales tax” options on “in-world” and marketplace transactions, etc . Sansar will have its own Marketplace and “new tech and user experience” . Philip Rosedale’s High Fidelity is not involved in Sansar . Sansar will support both DirectX and OpenGL . The lab aren’t currently prepared to discuss specifics of the physics engine being used , but will state that it is “very modern” . Linden Lab is licensing technology from, and in discussions / negotiations with, numerous third-party suppliers  . Improbable are not a part of discussions or negotiations at this point in time . Terrain in Sansar appears to be voxel-based , and will support complex landforms such as caves. Sansar experiences will be provided on demand. If no-one is using an Experience at any given time, it will be stored, then quickly started when someone wishes to access it . Experiences will support instancing. An experience will probably support up to 150 avatars, and when this limit is reached, a further copy will be run-up to accommodate further avatars  . Client-side development is initially be PC / Oculus Rift / VR  , although the plan is to support other emerging headsets as well. In order to achieve this, Sansar will optimally run at 90 fps, with 75 fps currently being achieved . That said, use of a VR headset will not be a requirement for using Sansar . The aim is for computers capable of running Second Life “successfully” today (presumably with things like ALM, lighting, etc., enabled), to be able to run Sansar , but this is not a given . Using Sansar with VR headsets, etc., will obviously require hardware meeting the minimum specifications for such headsets . User access from mobile devices will be offered in time, although the focus will be on using such devices as a means of consuming Sansar experiences, rather than creating them . Sansar will not initially support an open-source style client to start with, but this may be an option for the future. TPV developers will be invited to provide feedback and recommendation for the Sansar viewer / client . Rather than open-sourcing the client, the Lab is looking make it extensible, allowing developer to add-on to it as needed and to meet the needs of Experiences (so the UI can be customised to match the Experience the user enters, for example . The Lab views Sansar and Second Life as two separate products, with the Lab viewing both as “parallel universes”   both with their own development curves. There is no plans within the Lab for any kind of “forced migration” of Second Life users from one to the other . Sansar will not be 100% compatible with Second Life, and this will limit what can be ported from one to the other  . Very little, if any, functionality is being carried forward from Second Life; almost everything is being built from the ground up, including how inventory is managed . Second Life is continuing to be developed. Upcoming enhancement including: new media capabilities via the Chromium Embedded Framework, work to “clean-up” SLurls, a new trial programme involving “community gateways” (I’ll have more on this in an upcoming article), and an upcoming new set of classic starter avatars . Next Post Sherlock Holmes, Atticus Finch and Little Jack Horner, P.I. Sansar sounds great. But the use of VR hardware is particularly troubling if you have to use something more than a keyboard and a mouse. I personally cannot physically use most VR hardware. So this morning I began taking a closer look at both inworldz and Kitely. I have been around the computer industry long enough that the smart thing is to hedge my bets. Sansar isn’t exclusively for VR – but VR is a central focus, to be sure. Be aware that Sansar won’t mean the end of SL – unless the majority of SL users opt to jump ship. In fact, I’ll go as far as to say that SL users aren’t Sansar’s primary audience. We’d be a nice-to-have, yes; but we’re not the focus of LL’s efforts in developing Sansar. I understand the lab say it won’t be the end of SL unless everyone from SL jumps to Sansar. But who defines everyone. If 90% make the jump is that what the lab says is everyone? Somehow I doubt the lab will keep the current grid going with only 10% of the current users. (I sure wouldn’t.) Since SL is user created what happens if 90% of the creators are gone. In my opinion here are just too many unanswered or unanswerable questions. I’m just keeping my options open. It seems to me that inworldz is the most SL like while Kitely is the most current Sansar like without the VR hardware. I do think its time to start looking at alternatives to SL. Oh, I agree; it’s going to come down to economics based on users; I was just slightly careless with choice of words. But I actually don’t think that’s liable to happen in the short term – or even the next 3 years or so. I agree both on economics and probable time frame. With all the discussion of VR and Sansar for which you provided a good summary BTW I thought it was time to start looking for another virtual word. Three years is probably right but I also think a year is possible. I won’t go out and buy land or delete my SL account but I will look. Actually I’ll probably never delete my SL account unless SL goes away because it has too much history. My tenth rez day is Tuesday and you don’t delete a decade old avatar casually. Happy rezday come Tuesday! And no, parting with a decade of history can’t be done lightly. FWIW, I’ve accounts on both InWorldz and Kitely, and find them to be friendly – InWorldz perhaps more so, simply due to the numbers of active users and the ease of socialising, particularly if you lake for of a “world” feel. Inara thank you! I thought you had a Kitely account. The first kitely photograph I took had the “Falling Waters” house you donated as its subject. You can see my picture of it at http://wp.me/p6rU0t-36 which is my blog post about inworldz and Kitely. What was nice modifying windlight settings was the same in SL, inworldz, and Kitely. Generally I found inworldz had a similar “feel” socially to SL in 2005. I’ve already made accounts for my main SL account & alt accounts in InWorldz. It costs nothing to do so but a little time, you can use the same account names, and the world there looks & functions very much like SL. There are some differences, for better or worse. The number of current active users is much smaller, though I expect this to change if and when SL disappears. Land is much cheaper and all downloads are free, which is great for content creators. 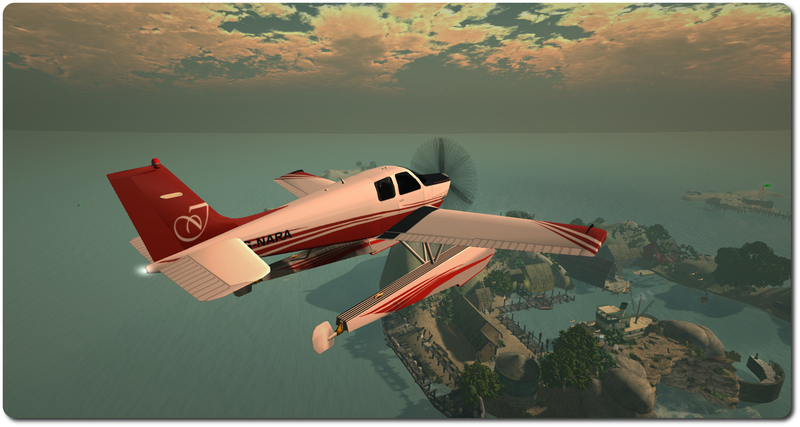 (You can bring textures, notecards, scripts and mesh dae files into InWorldz for free.) It’s harder to use in-world currency to pay tier there or to move it out as RL profit, which is bad for content creators. Most of the building tools and scripts from SL work the same in InWorldz, but some scripts don’t work right without tweaking them. There is some good mesh there now, but the world as a whole is still dominated by old prim and sculpt builds. People tend to be more friendly and more helpful, but there are fewer sims, less things to do, and it’s harder to find good freebies. The model for the world seems to be a giant, friendly sandbox. Having a vibrant, in-world economy seems to be less of a concern, perhaps because they don’t want the sketchier sides of the SL economy. There are small adult & Gorean communities, but they’re nowhere near as big as they are in SL. persephonetoo, I use a different avatar name. If I like inworldz I will just create an account in my true avatar name. I’ll just have to convince my SL husband we both need to move. Because of the lower population socially inworldz seemed much like SL in 2005 without all the crashes. Hello Willow. When you’re new in InWorldz, Search for Money Trees to pick up some extra spending money. Anyone under 30 days old can help themselves to money donated to the trees. If you use Area Search, you can also use it to search for “Gift”, then check Show Beacons, as an easy way to find group gifts & sometimes hunt prizes in shopping malls. It’s harder to find good freebies in InWorldz vs. Second Life, but with a little know-how & effort, freebie hunting can become a rewarding game. I’ve created an account for my main. What surprised me 😀 I was able to buy a little walking around inworldz cash without committing to a long term membership. Inara, thank you for such a well-researched and comprehensive article. Super summary and thanks for the careful citations for follow up. It would be very nice to know if 1) there will be in world/on platform creation tools, and 2) if there will be a cloth dynamics/collision detection system for hair and clothing! Very useful post, Inara! With so much swirling about, it’s great to have it all in one place. I do hope to see updates to this as time goes on. I agree Inara published a very useful post in this crazy atmosphere. What her post did was reinforce my decision to see what else is out there besides SL. Depending on how news and information continues to come out of the Lab (and how aware I am of it), I may aim for this to become a quarterly update under the “Next Generation Platform” and “Sansar” tags. The former will be accessible through the menu: News & Opinion > Linden Lab > LL Products. There’s no perceived benefit for SL / LL in doing so. Hypergriding also implies a degree of portability for some items of inventory (e.g. your avatar appearance). That requires significant changes to how SL handles inventory and how SL-focused goods are permissioned. such changes would be non-trivial and – being brutally honest – simply not worth the Lab’s effort when compared to other things they could do in further improving SL. Improving further the actual SL? Is becoming almost impossible, without rebuild all the code. I agree, hypergriding can be difficult to implement, but they already did. Open to other virtual worlds in my opinion, can be a good tool for improve a lot sharing and different cultures. Second Life has a technology ceiling, agreed. At some point a ceiling will be reached whereby there is little more that can be done without extensive code re-writes (certain areas of the platform had already reached that point, and the Lab is wary of touching them because of the rick of doing more harm than good). But that doesn’t mean that we’re at a point where new feature sets cannot be introduced, where new capabilities cannot be added and concerns of existing using cannot be addressed – all of which, Linden Lab continue to do. Hypergriding, as we know it today, hasn’t been done with Second Life; in 2007 there were some basic experiments carried out between SL and IBM as proof-of-concept. Hypergrid abilities have come a long way since then, and for SL to offer a similar level of support would be a set of non-trivial changes. And as stated, it is unlikely thay connectivity with OpenSim would directly benefit SL or LL to a degree where the technical effort is worthwhile. I thought this arcticle might be interesting for those reading our blog. Thank you Inara, for this very good summary about Sansara. It really gave me some insight what is going on. The talk of separate experiences is a negative to me.. I think the real value of Second Life is the single connected world versus the multiple instances in many MMORPGs, Sonys now aborted attempt in Sony Home, etc. It would be a great pity to lose that aspect. But how genuinely contiguous is Second Life? We have mainland, true, and we have Blake Sea and its surroundings; but the majority of SL stands as isolated environments. We cannot sail or fly between them; even regions shown on the map to be seen as neighbouring can be mutually inaccessible to one another. Not even all the of mainland continents are interconnected. So what we have is the illusion of a continuous world, as represent by the map. Granted, that is a very, very, powerful illusion; but in many cases the “connected” nature of this world is via teleporting, which tends to break the immersiveness. And we now know that Sansar will support spaces possibly close to the size of large aspects of mainland, and there will be an ability to connect them. So who is to say whether or not the “feel” of interconnected spaces with Sansar present anything that has more or less of a “connected world” feel to it than we tend to have with many aspects of SL? Could there even be a tool (provided by the Lab or third-party developed) that comes along which strengthens the feel of connected Sansar spaces forming a “world” of their own? I’ve actually got some thoughts on this, and how Sansar might be seen; they’ve been sitting in “drafting hell” since April. I promise to clean them up and publish them, as I think they do have a bearing on things, and harken back to something Ebbe Altberg said not long after he joined Linden Lab. We already have separate experiences in Second Life, Remnants Of Earth is a very different experience to The Wastelands, which is a very different experience to the Open University. The mapping concept is however interesting as it gives the impression of a single connected world. There are pro’s and cons to the different approaches, but if you’re creating an experience set in space or in your own universe, the single connected world is a distraction from the environment you want to create. On the other hand, to the casual explorer, the single connected world is a beautiful concept on that voyage of discovery. Inara and Ciaran… I understand your point… but the identity of you as an avatar and its background is to me a very important feature. I think of this as a series of experiences or travel destinations in which you can engage as yourself or in a role you choose or are given. Like travelling to a new location by plane (almost as magical as teleporting really) or entering through the theatre doors. But its still you and your (chosen) avatar or persona that is there… not a completely separate and perhaps new embodiment. It would be a pity to lose that aspect… which is done very well indeed in Second Life. I’m not actually convinced that LL is saying your scenario will be the case. My impression is that we’ll have a lot more freedom of “persona” movement, centrally managed by LL’s services. In this respect (and while I hate drawing parallels because of the false assumptions held elsewhere that Sansar = High Fidelity = Sansar), LL might intend for Sansar to offer the kind of central identity we’ve seen HiFi talk about. Something which, while complex, may well be easier to manage, given Sansar spaces, whoever leases / owns / holds them, would appear designed to run on “LL’s servers” (use of quotes intentional), rather than the HiFi model of being widely distributed around the world across multiple platforms and systems. I’m sorry, but you said NOTHING about inventory items being transferred over to this new grid. IMO, you are forcing others to take what you decide and to hell with their comfort. The Lindens have already stolen hard work that creators have done for the shops in SL. I don’t see where doing this will help anything. I’m not entirely sure what you mean by “inventory items being transferred over to this new grid”. If you mean the Lab arbitrarily moving content from SL to Sansar – the Lab have given absolutely no indication that this will be the case, and there is no reason to assume they would. If you mean people having the ability to move their own inventories to Sansar, then the Lab have indicated that while some content might be transferred by users wishing to migrate to Sansar, much will not be, as there is very little platform-to-platform compatibility between the two (there are other potential issues in this as well, but I’ll not cloud this reply by digressing into them). Could you define how the Lab has “stolen”? This is a strongly accusative term. While it is true that the lab has not handled its relationship with users very well in the past, as has been pointed out elsewhere, any attempt by them to “steal” content from users outright could be extraordinarily damaging to the company as a business, particularly at a time when it is attempting to build and launch a new service primarily aimed at a far broader audience than those using Second Life. The inventory problem is probably the biggest stumbling block for SL user migration. The longtime users already have an established identity in SL and much of that identity is dependent upon items they have that probably will not be transferable. Things like shapes, skins, and hair are extremely important to continue the sense of identity between SL and Sansar and from what I have read so far LL is not putting much effort into translating them over. Other items like wings and whatnot are likewise important to the people in certain communities too. Repurchasing everything on the other side is not particularly practical either for a lot of people. Besides the obvious problem of money there is an even bigger stumbling block in that a lot of the identity things like skins, hair, eyes, and other things like wings that are almost unique are often so because the original maker is either gone or for some reason does not support them anymore which means that they would not be selling them on Sansar. I have an issue like that on Inworldz for instance, I was hoping the maker of the skins I use in SL would open a shop there but never has and the very few even vaguely similar skins produce a totally different look on my shape I exported from SL. If faced with the choice of transferring nothing more than their name and having to start over or stay with SL until it ends and simply not do virtual worlds anymore there are many who will take the second route. Then there are those who will start over but go with opensim out of a sense that LL betrayed them. Personally, if the cost barriers are low enough Sansar sounds like it may be interesting, especially if it actually does work easily with Blender (and therefor Makehuman) or even better directly with Makehuman shapes. I have found though that with all the grids I have been on with native avatars, each new one dilutes the experience a bit and trying to make the same avatar on different grids using only the grids native resources just does not feel the same at all, even after a while to get used to the differences. In my case it is not an insurmountable problem as long as there is SL to go back to for ‘detoxing’ a bit but others might not feel that way. The spin-on-demand thing sounds good if LL keeps some sort of metadata active all the time so the maps and such actually work right (and the ‘experiences’ spin up fast enough). I have been hypergriding around some worlds with spin-on-demand and they can be quite annoying between the teleport lag and the map not showing where everyone is unless you hover the mouse on each sim in the grid for a while to pick up the information. Another annoyance on the things is that sometimes the lag is horrible if everyone is spread around the grid since usually the servers do not seem to have the capacity spin up the whole grid at once. It is a great framework for concentrated events but sometimes iffy for a lot of random traffic unless it is carefully engineered for density extremes.